This look is something I am envisioning on wearing when Fall arrives. 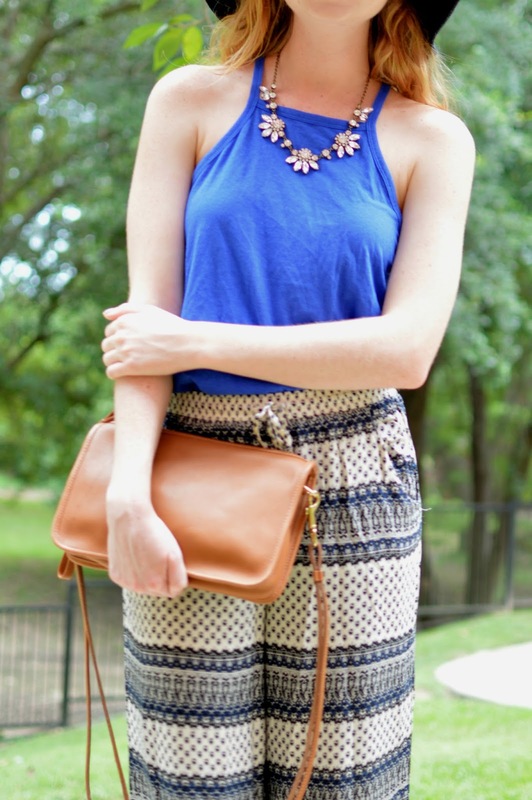 I love wearing blue and these pants have such an adorable print on them! They are from American Eagle and are old, but I have linked a few more cheap options to look at. My high-neck tank is from Old Navy and there are a ton of affordable picks right now! I love that Old Navy hat, I think I might just have to get it for fall! Also, obsessed with this outfit - so cute!